Following the UEFA EURO 2016™ championship, tire manufacturer Continental can look back with satisfaction at 21 years as an official sponsor of the world's six most popular football tournaments – the FIFA 2006, 2010 and 2014 World Cups and the UEFA EURO 2008, 2012 and 2016 events – and of the UEFA Champions League from 1995 to 2000. Football sponsorship has proved a highly efficient way to greatly enhance the visibility of the premium Continental tire brand in almost all European markets. “We are delighted at the long-term positive impact of our commitment to the sponsorship of professional football events. It enabled us to set ourselves apart in an appealing way from many of our competitors who, in the late 1990s, primarily opted for a commitment to motor sport, and it has generated a major boost in brand recognition in our main European markets,” says Nikolai Setzer, member of the Executive Board of Continental AG responsible for Corporate Purchasing and the Tire division at the world’s fourth largest tire manufacturer with sales of more than €10 billion. “When the UEFA EURO 2016 event drew to a close we had achieved the brand recognition targets we had set for the communication platform that football provided. The level of recognition we have reached means that we can now take the logical next strategic step with our premium tire brand in Europe,” Setzer adds. The new campaign will be run across Europe on television, in print media, at the point of sale with the company’s partners in the trade, and online. Continental is also planning to make active use of the various social media channels to engage in dialogue with drivers and other social media users and explain the benefits of the mobility solutions the company can offer. “As well as creating a more modern and vital presence, as we developed the campaign we made sure to generate greater flexibility than in the past. This is reflected, for example, in the more varied selection of images we use to illustrate a range of different topics, helping to set us clearly apart from the competition in the replacement sector,” says Silke Gliemann who, together with her team, is responsible for marketing communications in the Europe, Middle East and Africa (EMEA) region. So in the future a variety of driving scenarios will be featured in different settings to build and boost confidence in Continental’s mobility solutions. The new campaign was drawn up in conjunction with Serviceplan Campaign International GmbH & Co. KG in Hamburg and will be gradually rolled out across Europe. Production of the television spots was handled by Markenfilm GmbH & Co. KG, also based in Hamburg. In terms of content strategy, both the new campaign and the tire manufacturer’s dedicated website www.VisionZeroWorld.com are aligned with Vision Zero. The overall offering will include a broad spectrum of multimedia content referencing the topic of greater road safety through accident prevention technologies. Along with a new quarterly VisionZeroNews format, there will also be numerous reports and articles available on the various technologies, as well as videos and graphics – some animated. 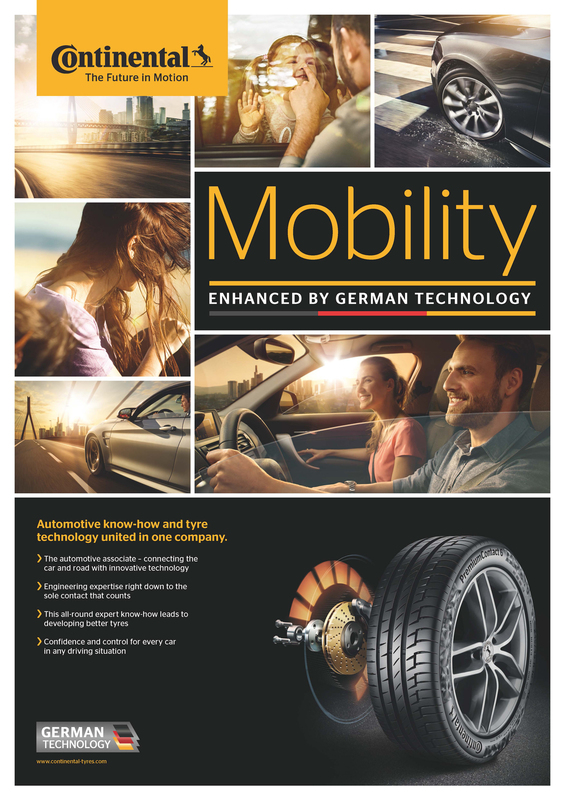 One ongoing focus of coverage will of course be on Continental’s engagement as an automotive supplier and exclusive tire partner to Global NCAP’s “Stop the Crash” campaign, which aims to spread the word about precisely these accident prevention technologies, particularly in densely populated emerging economies. From Continental’s viewpoint as a technology company, Stop the Crash is ideally aligned with its future target positioning, given that the campaign is based on providing information and building awareness by familiarizing people with the different technologies. Under the aegis of Global NCAP and its regional sister organizations, Stop the Crash adopts a partnership-based approach involving most of the world's major automotive suppliers and other leading organizations, such as German automobile club ADAC, and targets not only political decision-makers and fleet managers but also journalists and drivers.